Welcome to MoneyReels, where you can enjoy 100s of slots, outstanding bonuses, and win fab prizes every day. 65X wager requirements, £250 max bonus conversion, read more for full terms. Welcome to the MoneyReels VIP Scheme where there are five exciting levels to work your way up in order to collect daily cashback and amazing rewards! Read more for full T&C's. All VIPs at MoneyReels have the chance to win a Free Pizza every week in our Exclusive Pizza Club! Play during our Happy Hours between 3-7PM every Wednesday at MoneyReels for a chance to win 500 Free Spins! 65X wager requirements, £250 max bonus conversion, read more for full terms. Win a FREE Amazon voucher when you collect 200 trophies at MoneyReels, plus win up to 20,000 FREE Spins along the way! 65X wager requirements, £250 max bonus conversion, read more for full terms. At Money Reels we have some fantastic online slots UK promotions to welcome new players, such as our amazing Mega Reel promotion which gives all new players the chance to win up to 500 free spins when making their first deposit with us. Existing players are rewarded for every deposit of £20 or more with a spin of the Mega Reel which can see you winning prizes such as Free Spins on classic Eyecon slot games such as Fluffy Favourites Fairground and blockbuster Netent games such as Starburst. We recommend you check this promotions page regularly as we update our offers quite often with new deals, bonuses and events. Money Reels is committed to providing the very best online slots experience for UK slot players who love playing UK online slots games on their laptop, tablet or mobile phone. Welcome Offer - Claim up to 500 Free Spins when making your first Deposit of £10 or more. When you deposit you will be presented with a spin of the Mega Reel which can award up to 500 Free Spins on Games such as Starburst, Fluffy Favourites or you might even win a physical prize such as a £10 Amazon Voucher. 31 Days of Double Cashback for all New Players - We love rewarding our online slots players here at Money Reels and every week our players can enjoy up to 10% Weekly Cashback. We thought about this and decided that our new players should get something extra special so we decided to award all new UK slots players DOUBLE Cashback up to 20% Daily for the first 31 days since your first deposit (not the day you register). Daily Cashback - Unlike many casinos, our rewards don't stop one week after joining. We continue to reward our loyal players with up to 10% Daily Cashback on slots and casino games. So even if you don't win today, you will still have a reward from us tomorrow to help you on your way to big UK slot wins. Cashback can be claimed in the My Account section of the website. 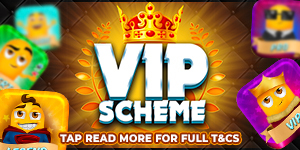 VIP Scheme - Enjoy 5 levels of VIP rewards at Money Reels. Simply deposit and play and earn Kudos, the more you play the higher the rewards. Check our VIP scheme page for more details and you could be seeing yourself earn some exclusive VIP rewards. For more great online slot promotions, head on over to our sister site UK Slot Games for more offers.